IDEAL Placements promotes diversity and encourages people to “give it a go”. Many of our long term employees commenced as trainees and have developed a rewarding career in placing people with a disability in long term sustainable employment. More recently our Transition to Work team, have engaged the Mackay and Whitsunday’s youth into employment or education outcomes. If you are considering a career in which you can use your expertise in assisting others, then please register your interest on the form below and upload your Resume and cover letter. IDEAL Placements is an Employment service that I am proud to say I work for. As a Youth Coordinator for a locally owned, not-for-profit, I get the pleasure of working closely with each one of my participants and personalising a plan unique to their life and goals. Being involved in a person’s journey to employment, and being present while they achieve their goals is a very rewarding and fulfilling process. I am pleased to be working for Mackay’s only Transition to Work Provider and I look forward to many future achievements among my team and the youth of Mackay. I joined IDEAL Placements because I was made redundant from my previous job and I was looking to get my teeth into something “different”. I am in an administration role with IDEAL Placements in the Whitsundays. Currently I have been a part of the team for three months. As a business I found this was intriguing to me because of so many different avenues I can learn within the company. IDEAL Placements is such a great place to work for numerous reasons. First and foremost, the culture of the organisation thrives on valuing the employees which has been my experience so far. The employees here at IDEAL Placements really care about each other, the success of IDEAL Team and there is a healthy team dynamic. Not only do I feel like a valued employee every day, I am inspired by my peers through their example of workmanship. IDEAL Placements also understands the importance of family, which is of the utmost importance for me as a mum. If an employee needs time off for family emergencies and such, it will happen. You are encouraged to take care of your family. All employees also have access to training in a supportive team environment. Training is available online directly from peers as we go. Everyone is more than happy to assist. Another winning thing in our organisation is that ALL of our senior staff are more than approachable & our senior staff know all our employees by name. I’m proud to be a part of this exceptional organisation. To apply for the position, please fill out the contact below or click the link to the Seek Position. 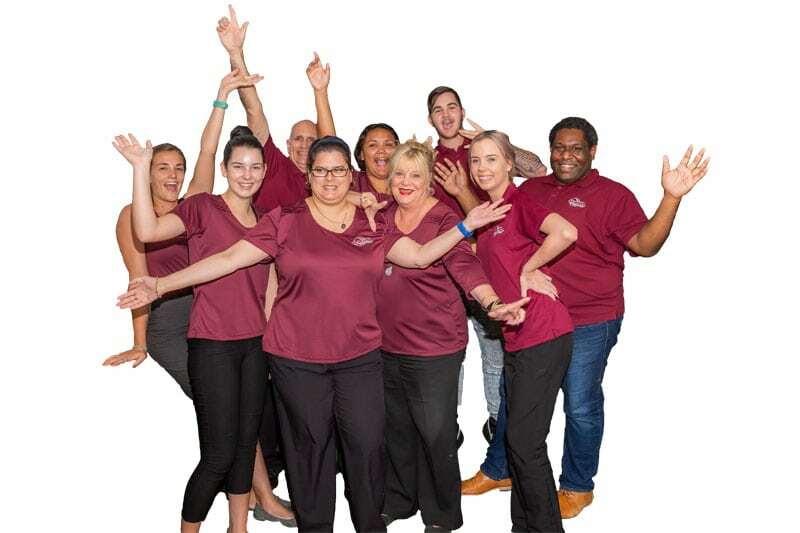 This position provides leadership in IDEAL’s strategic goal to become an NDIS provider of choice for all participants who want to be employed. To do this, we support participants in capacity building through service delivery initiatives and support coordination. Your day will include leading, guiding and mentoring staff, identifying new and innovative service delivery opportunities and develop options for services that are person centred, consumer directed and financially viable. If you are interested in volunteering at IDEAL please complete the expression of interest below. We are seeking people from all walks of life to assist people on the job or to learn work skills in order to gain employment. If you are interested in joining the team at IDEAL, please fill in the Expression of Interest form below. Please upload your cover letter which highlights your experience, skills and attributes that you will bring to IDEAL and your resume detailing your work experience.